Approximately 150 nursing homes serve the rehabilitation, skilled nursing and disability care needs of the more than 700,000 residents and nearly 100,000 senior citizens in the Detroit area. Unfortunately, less than a fourth of these facilities maintain a five-star rating, which is the highest ranking possible through the federal government’s Medicare.gov rating system. Even worse, many of these nursing homes maintain a one and two star ranking because of primary concerns over the lack of quality care they provide their residents. The federal agency, through Medicare, routinely collects information on every nursing facility in Detroit based on data gathered through inspections, surveys and investigations. Recently, inspectors identified serious deficiencies and violations at many nursing facilities. Currently, the federal database reveals that thirty-seven (37%) of the 101 Detroit nursing homes provide their residents substandard care that has led to injury. If your loved one was harmed, mistreated, abused or died unexpectedly from neglect while residing at a nursing home in Michigan, your family has rights to ensure justice in receiving compensation. We urge you to contact the Detroit nursing home abuse & neglect attorneys at Nursing Home Law Center (800-926-7565) today. Schedule a free case evaluation and let us discuss your legal options for obtaining monetary recovery through a lawsuit. The nursing home abuse attorneys at Nursing Home Law Center LLC serve as legal advocates to Michigan elders to ensure their rights are protected. Our law firm remains dedicated to ensuring elderly, disabled and rehabilitating loved ones receive the respect and dignity they deserve. The following data is used by families faced with serious decisions on where to place a loved one to receive quality of care in their time of need. Our team of nursing home abuse lawyers have compiled valuable data through the www.Medicare.gov Comparison Tool to give you specific information and safety concerns of nursing facilities maintaining one and two star ratings. Overall Rating – 2 out of 5 possible stars. In a summary statement of deficiencies dated 3/26/2015, a notation is made of the facility’s failure to provide an environment free from allegations of abuse. This is in response of a report of abuse and medications not given as prescribed by a physician that resulted in the potential of unidentified abuse or recurrence. During surveys and investigations by state surveyors, the facility was noted for its failure “to obtain daily weights as ordered by the physician and failed to contact the physician to report a resident’s rapid weight gain of nine pounds.” When the surveyor interviewed the Assistant Director of Nursing in regards to the incident, there was no documentation of the weight gain or any evidence that the weight was accurate or that the physician was contacted. In a summary statement of deficiencies dated 08/12/2015, notations made by the state investigator indicate the facility’s failure to place necessary “support stockings on [the resident with] specialty needs [due to circulatory complications].” This is in response to a review of the resident’s records indicating that the Certified Nursing Assistant’s (CNA) daily care plan – the guide plan CNA use for daily care – documents the use of support stockings during the day and removal at night. However, “there was no care plan for the use of TED hose” by the resident’s physician. In a summary statement of deficiencies dated 10/24/2014, a state investigator makes a notation of the facility’s failure “to ensure that oxygen tanks were secured for [a resident requiring] oxygen therapy.” This failure resulted “in the potential for an explosion if the tank falls over.” This is in response to a 10/21/2014 9 AM observation occurring “during an initial tour of the 1-South nursing unit, and oxygen tank was observed in [a resident’s] room, standing upright on its bottom, by the head of the bed. The oxygen tank was not secured in a holder.” The nurse on duty provided no explanation “why the oxygen tank had not been secured. Failure to Hire Individuals without a History of Abuse, Neglect or Mistreatment of Nursing Home Residents. In a summary statement of deficiencies dated 04/15/2015, a state surveyor notes the facility’s failure to ensure that an extension cord was not used in the room occupied by [a resident] resulting in potential of equipment malfunction and electrical fires.” This is in response to a 04/13/2015 observation where the surveyor noted “a brown extension cord which had a C-PAP breathing machine plugged in. [The resident] was not in the room at this time. On 4/14/15 at 11:05 AM, the brown extension cord remained in use with [the resident’s] C-PAP machine. On 4/14/15 at 1:30 PM, an interview was conducted with the Maintenance Director. When queried about how the facility monitored for use of extension cords, the Maintenance Director reported that he makes visual rounds and stated, he kinda knew for a month.” The failure to provide a safe environment also jeopardized other residents at the facility due to a potential fire hazard. During 01/01/2015 and 12/31/2015, the nursing facility was found to have 22 health deficiencies including four deficiencies involving the quality of care provided every resident, and one deficiency for mistreatment. One serious case was noted during a 09/03/2015 inspection affecting a resident who had been admitted to the facility without pressure ulcers. However, the resident while at St. James nursing Center developed a 6.2 centimeters life-threatening stage III or IV pressure ulcer that was preventable. This involves a 6/04/15 incident where a resident seated in a wheelchair in the hallway directly in front of the nurse’s station was seen trembling from head to toe. At that time, one nurse asked the resident “why are you so shaky?” The nurse was observed speaking loudly to another nurse in front of four other residents about the resident’s condition then told the resident “I think you need to take a [medication name] now to make you chill and just no worries now my dear.” The other nurse at the scene discussed whether or not to administer the medication to the resident in front of four other residents, which is in direct violation of patient privacy laws, rules, procedures and regulations. In a summary statement of deficiencies dated 06/12/2015, a state surveyor notes the facility’s failure “to ensure that proposed therapy schedules for [two residents] were discussed in a private area by [employees].” As a result of the employee discussion of a resident in a public area, other residents overheard the “disclosure of personal medical information.” This is in response to an incident occurring in the facilities dining room at a table where two residents “were sitting and eating breakfast. [One employee] was observed with the document in his hand and referenced the document as he spoke with [the other employee].” The employees could be overheard by the residents discussing other residents’ proposed therapies and answers to medical questions about other residents at the facility. This is in direct violation to patient privacy laws, procedures, rules and regulations. During 2015 the nursing facility was found to have 22 health deficiencies including seven deficiencies involving the quality of care provided every resident. These deficiencies include a lack of quality care ensuring that every resident receives adequate nutrition. A notation is made of the facility’s failure “to ensure that residents at nutritional risk did not experience significant weight loss.” In one incident, noted on 10/14/14, review of the record indicates that a resident’s monthly weight log revealed a significant weight loss from 134 pounds on 01/01/2014 down to 115 pounds by 10/01/2014. The Detroit, Michigan nursing home abuse attorneys at Nursing Home Law Center LLC recognize that many families face the unwanted decision of needing to place a grandparent, parent or child in a nursing home that can provide loving quality care to meet the needs of their loved one. If you are even slightly suspicious that the medical team at the facility is mistreating, abusing or neglecting your loved one, it is essential to take immediate legal steps today. 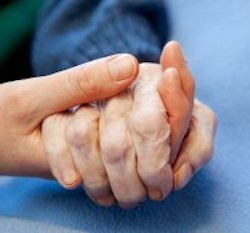 Our Detroit nursing home injury attorneys are dedicated to providing immediate legal remedies to protect the health and well-being of your loved one residing in nursing facilities statewide. We can assist you in launching an investigation and stopping the unacceptable actions of those responsible for providing quality care. Contact our Detroit nursing home abuse lawyers today to schedule a free case review and consultation. We accept these types of cases on contingency, meaning all legal services are provided without any upfront fee. We are paid only if we are successful in recovering financial recompense on behalf of the victim. For additional information on Michigan laws and information on nursing homes look here.